This is part of a very big, heavy framed and glazed photograph. 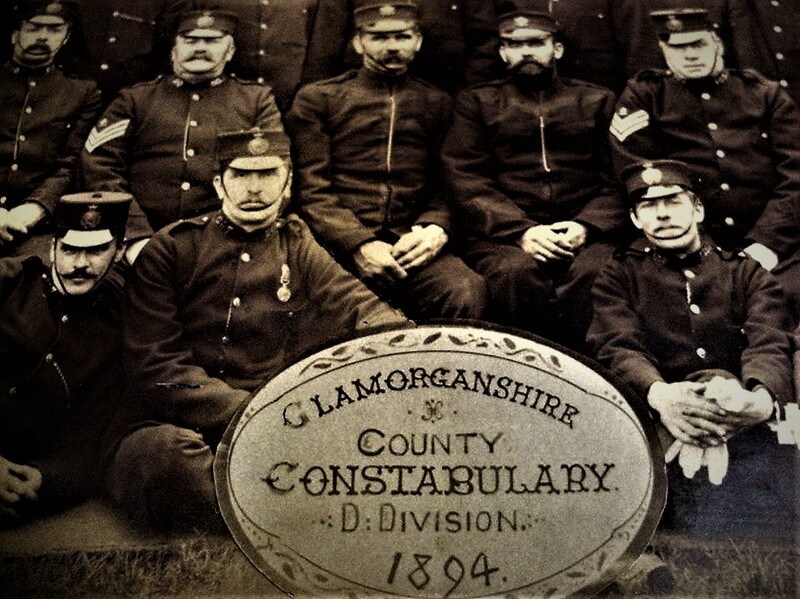 It shows members of the 'D' Division of Glamorganshire Constabulary. At this time the Glamorgan force had only 5 Divisions. The 'D' Division was also known as the Swansea District, and covered parts of Neath and Port Talbot areas.